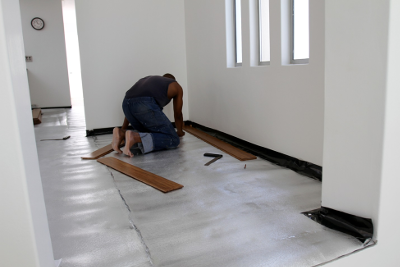 The purpose of this article is to educate and inform clients of the possibilities regarding preparation of sub floors for the installation of wooden, bamboo or laminate floors. 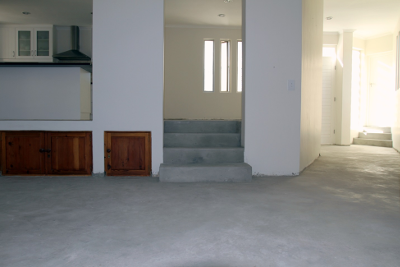 Sometimes people are unaware of exactly what can be done about floor levels and tiled floors. This article will provide you with all the information you need to make an informed decision for a perfect floor. 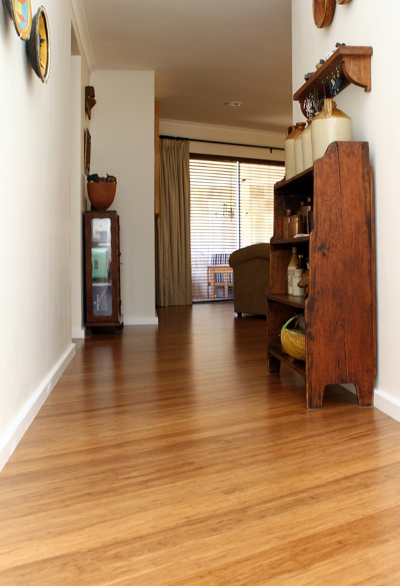 Wooden floors can be installed on ceramic tiles but the surface needs to be inspected very carefully. 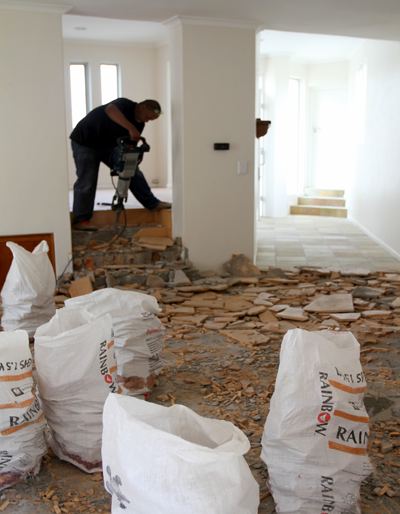 Loose and unleveled tiles needs to be removed and it must be leveled with cement. 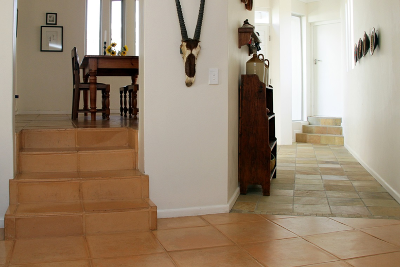 Some people have clay, sand stone or lime stone floors. These tiles are never level because they are handmade. 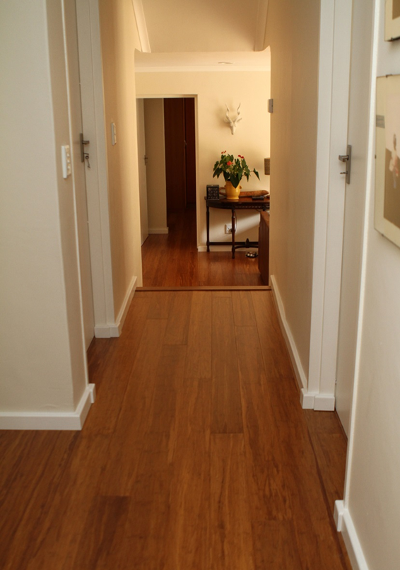 These surfaces are not suitable for wooden floors and it needs to be removed. In the photos you will see one of our installations where we had to remove sand stone and clay tiles. We can remove these tiles and even the old cement screed. We can do the same in areas where you have different floor levels. I am sure that you have seen these different floor levels between floors. The facts are that you don’t have to live with this. 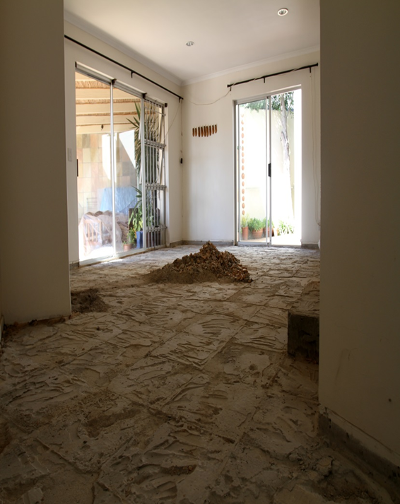 Once everything is removed, we can re-screed the floor to the original floor level. This solves the problem of different levels and unleveled surfaces. The picture below illustrates the new level screed. Once the new floor is dry the wooden floor can be installed. Preparation with damp proofing before floor goes down. The results speak for themselves. 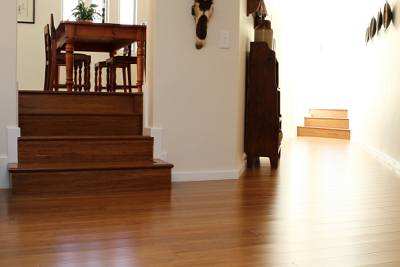 A beautiful bamboo floor on a level surface. So why settle for anything less? If quality like this is important to you, then look no further. It will be a privilege for us to give you the installation you deserve.